You will find below the horoscope of Justine Waddell with her interactive chart, an excerpt of her astrological portrait and her planetary dominants. If you know the time of birth of Justine Waddell, we would appreciate it if you would send us your information with your source, at stars@astrotheme.com. To thank you for contributing to the enhancement of our astrological database, we shall be glad to send you the astrological portrait (34 pages) of this celebrity. Horoscopes having the same aspect Venus trine Saturn (orb 1°29'): Leonardo DiCaprio, Marine Le Pen, Halle Berry, Khloe Kardashian, Tina Turner, Dave Gahan, Yannick Noah, Manuel Valls, Ricky Martin, Sarah Michelle Gellar, Joan of Arc, Vivien Leigh... Find all the celebrities having this aspect. Horoscopes having the same aspect Moon opposite Pluto (orb 1°46'): John Lennon, Helena Blavatsky, Tyra Banks, Pink (singer), Taylor Lautner, Gia Carangi, Amber Rose, Billie Joe Armstrong, Voltaire, Nina Simone, Neil Young, Lisa Marie Presley... Find all the celebrities having this aspect. Celebrities clicked on in real-time: 576,874,132 times. Justine Waddell (born 4 November 1976) is a British film actress, best known for her roles in the 2007 film The Fall and 2005 film Chaos as well as Tess in the 1998 LWT adaptation of Tess of the d'Urbervilles and Estella in the 1999 BBC adaptation of Great Expectations. Waddell was born in Johannesburg, South Africa. Her father, Gordon Waddell (1937–2012), was a Scottish rugby union player who captained the Scottish national team and played for the British and Irish Lions. He later became a Progressive Party Member of Parliament in South Africa, and a director of Anglo American PLC. Here are some character traits from Justine Waddell's birth chart. This description is far from being comprehensive but it can shed light on his/her personality, which is still interesting for professional astrologers or astrology lovers. 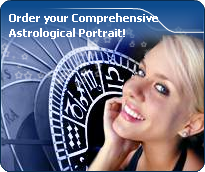 In a matter of minutes, you can get at your email address your astrological portrait (approximately 32 pages), a much more comprehensive report than this portrait of Justine Waddell. Warning: when the birth time is unknown, which is the case for Justine Waddell, a few paragraphs become irrelevant; distributions in hemispheres and quadrants are meaningless, so are dominant houses and houses' accentuations. Therefore, some chapters are removed from this part. The predominance of Water signs indicates high sensitivity and elevation through feelings, Justine Waddell. Your heart and your emotions are your driving forces, and you can't do anything on Earth if you don't feel a strong affective charge (as a matter of fact, the word "feeling" is essential in your psychology). You need to love in order to understand, and to feel in order to take action, to the detriment of a certain vulnerability against which you should learn to fight. Justine Waddell, Fire is dominant in your natal chart and endows you with intuition, energy, courage, self-confidence, and enthusiasm! You are inclined to be passionate, you assert your willpower, you move forward, and come hell or high water, you achieve your dreams and your goals. The relative weakness of this element is the difficulty to step back or a kind of boldness that may prompt you to do foolish things. After this paragraph about dominant planets, of Justine Waddell, here are the character traits that you must read more carefully than the previous texts since they are very specific: the texts about dominant planets only give background information about the personality and remain quite general: they emphasize or, on the contrary, mitigate different particularities or facets of a personality. A human being is a complex whole and only bodies of texts can attempt to successfully figure out all the finer points. You are the very type of the researcher endowed with great intellectual and imaginative capacities, Justine Waddell, and your curiosity is very deep. Researches, riddles and mysteries appeal to you and with a remarkable sixth sense and intuition, you endlessly try to unearth the truth, in all areas, like a psychoanalyst or a detective. You are a very secretive and introverted person, you find it difficult to open up and you rather prefer psychoanalysis. In spite of your clear-sightedness, you find it hard to deal with people: your critical mind, tinted with irony and causticity, may be destructive, especially since your determination and your stubbornness do not incline you to giving up. You are fond of provocations and you handle contradictions skilfully even though you may come across as dishonest. On the affective plane, Justine Waddell, you are open, straightforward, spontaneous and you make friends easily because your enthusiasm is expressed jovially, directly and is respectful of well-established moral values. In some cases, you may be opposed to your natal environment or to your family because of your taste for freedom, exoticism or all forms of independence and emancipation. Your feelings are burning and you often get carried away quickly. However, your ability to make friends easily is likely to favour some instability; in order words, faithfulness is not your top priority as long as you have not yet found your soul mate. Ideally, for you, life together must have some degree of mobility and include travels and fresh air. Within your relationship, you need to feel freedom and independence, which you need since your childhood. Under such conditions, harmony and faithfulness can be achieved. Your iron will is part of your assets, Justine Waddell. It is supported by an ingenuity and a skilfulness that may turn you into a mighty and feared personality. You have the knack of spotting weaknesses in persons you deal with and you can easily hurt them with your innate propensity to drill or to test their force. You are extremely stubborn and you never let go when you are convinced that you are right. Sexually, you are potent and passionate. You are domineering and secretive, with a magnetic personality. It is safer to avoid being taken in a conflict with you because you may be very aggressive and you bear grudges. In some cases, you may also be sadistic. Your personality is as secretive as it is domineering in the areas of action and sexuality. This text is only an excerpt from of Justine Waddell's portrait. We hope that it will arouse your curiosity, and that it will prompt you to deepen your knowledge of astrology, as well as to visit and use the wide range of free applications at www.astrotheme.com. Your Life Path is influenced by the Master Number 11, Justine, which indicates a strong, demanding, and uncompromising destiny. It is all about revelation and early calling. You feel that you are entrusted with a mission, with the certainty that no setback could endanger it, and your own certitudes prevail over any other motivation. You have a lot of strength, and sometime, intransigence. Short-lived fashions and life vagaries cannot weaken your beliefs. You pursue a set direction, in quest of an extraordinary destiny, with the help of your intelligence, your inspiration and the natural influence you have over people. Even though your entourage may not always understand your secret determination and perceive you mainly as an impatient person, your fortitude overcomes many a doubt and obstacle. You can sacrifice everything for the sake of your deep aspirations.